I am a qualified sports scientist and British Cycling level 2 coach, specialising in improving endurance performance. 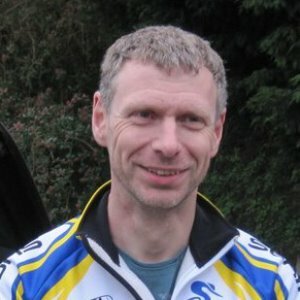 I have successfully coached cyclists and triathletes to national titles, personal bests, and completing goal events such as Gran Fondos\Sportives, ironman and marathons. Using scientific research for training and analysis and the demands of the events to implement individual programmes for each athlete that work around their own lives and circumstances. I took up endurance sports in my 30's and immediately started looking for ways to improve and maximise the gains from the training I did. This led to a Master's degree in Sports Science (Physiology), and the award from the British Association of Sports & Exercise Sciences (BASES) for the "Masters research project of the year", for my work on warm-ups for endurance cycling. Sports science and coaching are still evolving, and I am currently studying for a PhD relating to endurance cycling performance, to ensure my knowledge and application is up to date with the latest research. Understanding how the body responds and develops to effective training, which training will maximise VO2max, FTP etc., and what is needed for recovery is fundamental to the approach I take when coaching. However the science has to be applied to individuals with their unique set of circumstances, their lifestyles and their approach and response to training, where working together, listening to feedback and adjusting the training as needed is so very important. Having competed in track cycling, time trials, Gran Fondos, road race and triathlon (sprint to ironman) also gives me personal experience to add to the mix. In combining these scientific and personal approaches I have coached endurance athletes from age groupers to international level, male & female, young & old, winning national championships, regional and club titles, setting personal bests and completing goal events. Success. Coach Alan Chorley has been notified of your message. To hire Alan Chorley as your coach, select the coaching service that is right for you.